Work is engrossing. Enthralling. Buzzing. The workplace is the platform where you learn more about you. But, at times we find ourselves in a productive rut. Where we just look out of the window so much that you are writing the scripts of people walking over the road or spending most of the time talking about ‘The Crown’ or if you are still reading this instead of working on that presentation. We list below as the 15 substantial productive applications that come for all operating systems and devices. Hello mate! Meet your second brain. If your brain works like mine, where hundreds of things run from family - work - date in the evening - friends; Evernote could be great for storing that ephemera. It is the notebook application for almost everything. You can craft your ideas and to-do lists at work or personal things to follow up on, format them with rich text and reminders for more paramount notes you need to remember. As the phone is always handy, you will have a place for it. Make use of the built-in camera to scan the documents. A user can even drag the files, keep track of forms, tickets, and more. One of the productivity tools that comes with a search tool that could even identify the text inside images and scans. With Evernote, you could scan, share, and save everything. Troop Messenger has changed the way business operations happen at the workplace. This application serves both collaboration and communication in a single plate. Regardless of the sizes of your organization, you can initiate a conversation, build groups and talk anything under the sun. Using Troop Messenger, you can do everything from project management to creating to-do lists, video conference to screen sharing, and integration of third-party application to user status set up. It can tremendously cut down the time you spend on visiting fellow mate’s desk or typing the long boring email. This is the perfect platform for the not-so-good with technology people as well; because the user interface is friendly. Capture your every thought in any format. I personally use it all the time since I am that kind of person who has to remind myself of the important things and to-do tasks. Google Keep is the quickest way to dump the things the moment they hit your little brain. With this desktop and mobile application, you can create notes, lists, and set reminders. A user can check off the completed tasks and can access your notes on any device. Keep ensures to be in sync automatically to your Chrome extension or app, phone, watch, tablet, and Google Keep website. Users can add photos, drawing or can even draw on the photos. By coloring the notes with vibrant colors over there, it has been quite easy for scanning. By #lables, we can group notes together. On top of everything, if you want to use Google Keep in your work, Google Docs let you bring notes into your document to put all ideas together to make a final piece. Capture content from everywhere. Organize your space with everything you cannot wait anymore to learn. You can save an article or link or a video or anything to watch later to Pocket. This is one of the best productivity apps for iPhone where you can read or watch anything later. Pocket has entirely eradicated the way we bookmark pages till now as it is difficult to find the essential stuff in our bloated bookmarks. What are you waiting for? Just tap on me. If I was asked what’s your favorite productivity applications, I would name Grammarly without any second thought. Being a writer myself, sometimes I fall into a predicament whether my content is easy-to-read or error-free. But when I say, typos or errors, they are more than embarrassing, bruh! I discovered Grammarly, a grammar checker that would fix broken tenses, wrongly spelled words, and also suggests better synonyms. What else would anyone ask for? While at work, employees have to write some or the other thing every day. An email to the client asking for resources, telling a coworker who is working from home to resolve the issue, or asking the permission to leave early saying that you are sick but actually have a date in the evening. Yeah, yeah! I know you. You see, Grammarly is the tool you need. It has Chrome extension and can work inside Microsoft Word, Google docs recently, and any web application with its browser add-ons. Also, it comes for mobile applications with its custom keyboard. I am not saying that this grammar checker tool is perfect. It can only provide you incorrect suggestion and also bug you to replace the monotonous words. Of course, there are many other Grammarly alternatives that toil more efficiently. Grammarly could tighten up your writing and ensures everything to be correct from quick emails to a detailed statement of purpose that makes your English teacher smile ear-to-ear. One of the productivity apps that let you access your desktop remotely. It happens at times where you are working on something in-house and you have some about.php page code in an office desktop. How do you get that now? Well, TeamViewer has the simple and the easiest way to do that. This application work everywhere - even a Chrome extension to control PCs from a Macbook. Keep the TeamViewer running or active on the system you want to access, then when you need something from that computer, just open the application on your device, get logged in, and use that remote computer just like you were sitting in front of it. The graphics would be with a bit lower quality, but you can get things done, right? Have you ever wondered if you could copy something on your MacBook and paste in on your Windows operation system? Pushbullet is the platform you need. With this, you can even get personalized notifications from Twitter, Reader digest, online news portals, and to-do lists as well. It is one of the productivity tools that works everywhere. It is highly integrated with Windows and Android. With a premium plan, a user can get global copy/paste and can also send or receive messages of your Android on PC. Convert anything to anything! CloudConverts supports the conversion between more than 200 different media formats. We all have movement when the file dumped us by displaying that you cannot open :( But, worry not! CloudConvert could fix that. It can convert from famous document formats like .doc or .pdf to design files such as Adobe.psd and .ai. All you gotta do is to add the files you want to be converted and then choose the format you want to be. That’s it. The application itself take care of the rest. It converts and you can either download them individually or also can store those group of files as in ZIP. Additionally, CloudConvert also has the ability to transform files in the background. Let it go in touch with Google Drive or Dropbox and convert files on a whole new level as a cakewalk. Zapier is widely known for its thing for automation. This application lets you focus more on your work. 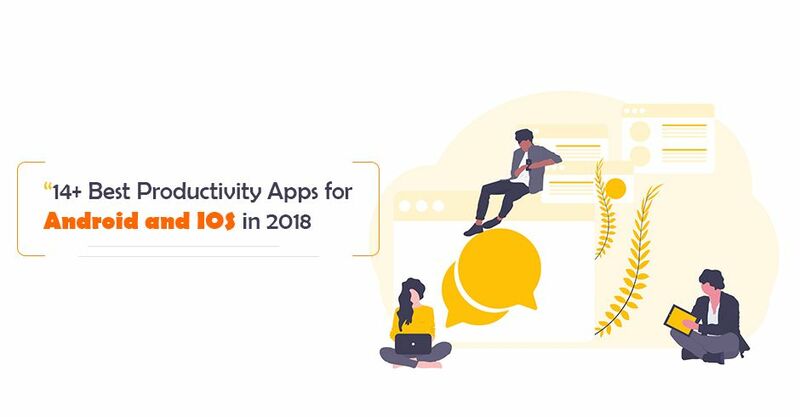 It deserves a position in top productivity apps since it has the capability to move the information between your web application automatically. Rather than copying and pasting the information between the applications or forwarding the same or allotting the same task every month, Zapier can do all that for you instantly with a matter of clicks. It connects web apps over anything else. It already has connected over 1300 application for a better together. For instance, when some activity happens in your application such as getting a new order or contact us form gets filled out, an appointment would be soon coming up. Zapier sends follow-up emails, copy data into the CRM, spreadsheets, and much more. Set up Zapier and automate all your strenuous tasks which give you more time on doing other important chores. Well, we all get ideas but at times we struggle to put them all together at one place. MindMeister is an online mind mapping platform that lets you grab, nurture, and share ideas visually. This application is entirely web-based which signifies that there is no annoyance of download or upgrade. In order to get started, double-click anywhere on the provided canvas to add a new idea, Just dump everything in your mind. Bring your team and add as many solutions as possible. Next, club them all together. Join related topic to one another and within no time, you would have a comprehensive map that traces everything back to a focal point. It is a team setting that has never been easier and productive. Aah! Yet again, another favorite of mine. It is one of the productivity apps that never let me down. Google Drive is the place where I store all of my files; from the Quotation document at work to Coorg trip photos with my mate. It is flawlessly integrated with most of the web applications enabling the users to open the drawings or prepare monthly expenses record through a spreadsheet. It has everything to store that can handle all my office needs. As I said earlier, I use Grammarly and now it can check grammar and spelling in my Google Docs. Isn’t that great? I can just drag and drop files in between folders, access recently viewed files in a click, and search for the document I have worked 6 months ago easily. It works perfectly with teams, collaborative docs of files, and can recognize the scanned files with its inbuilt OCR tool. It syncs flawlessly with all my devices. Hello!! While you are running a business or works in an organization, you have to sign the documents at one or the other time. It is okay if it is one or two, but at times, you gotta sign dozens of them. But, HelloSign helps you sign every page that expects your signature in a few clicks. Yep, you read it right. This is the only platform in the market that enables the end users for a seamless embed signing experience. To get started, draw your signature on HelloSign’s mobile application initially or it even has an option that generates your signature. Just enter your name and the software would fetch you unique signatures in seconds, select your favorite one and then click on each signature field to add it. Do not waste your time any more in signing something. It is well integrated with Google Drive so that you can send files as soon as you make them. Dump the old fax machine and say hello to HelloSign! Screenshot tools are quite beneficial. It helps you capture what is on your screen. But what if you want a screenshot of large data? Screencastify is the simplest and easiest option to capture your entire desktop, webcam, or browser tab. Enable its Chrome extension to record anything without any need of downloading the software. Once you are done with the recording, use the application editor to crop and trim to precisely what you want. It also has synchronization with Google Drive so that you can share the recorded items with anyone, anywhere. Work life is overwhelming. But it does not have to be. To organize tasks and stay profitable, make use of these productivity tools so you can get it all done and enjoy peace all along the way. Todoist is more like a fitness tracker for productivity. It can track all your tasks, verify them off and later shows you how productive you are at the end of the day. Let this application do everything for you. Get tasks out of your head and list them here. This application keeps you focused. Users can add tasks with the Quick Add option that grasps dates, project names, and also tags with any kind of symbols. You can check what all have to be done today and what is ahead for tomorrow. Organize projects into a hierarchy, get access to all the tasks at once. A hassle-free time tracking software for your day-to-day activities. To make smarter choices or moves ahead, you have to know the correct time. Toggl is one such time tracking tool that tracks reminders even if you forget. The thing about Toggl is that it tracks time only when you are working. No cheating, bro. To not let you burn out, it has also incorporated Pomodoro technique that lets you take a break when you have worked for some 30 minutes straight. All your entries could be well synced with the website, mobile application, desktop, and even Toggl Chrome extension. Take control over your sales opportunities and increase your conversion rate with Salesmate. It is an intuitive sales CRM for growing businesses who want to make their salespeople more efficient and productive. With this high-end sales tool, you can manage your sales deal, streamline your sales process, analyze your sales performance and automate various time-consuming tasks. Salesmate makes vital sales data easily available and helps in maintaining long-term relationships with your valuable customers. Salesmate allows you to take the information related to your sales deals wherever you go as it is accessible through both iOS and Android app. Quit ceasing sales communication when you are away from your desk. With Salesmate mobile app you can connect with your customers from anywhere and seamlessly sell on the move. These are a few comprehensive and productivity apps that let you run faster and efficient at work. Of course, there are still more in the line. However, I assure you that these aforementioned applications could bring you closer to realizing your business goals. All the information provided in this article is for information purpose alone. The intent is to provide some of the productive applications catalogs that might help users in their decision-making process. Hence, readers are advised to comprehend, consult, and confirm from the corresponding services while moving ahead.